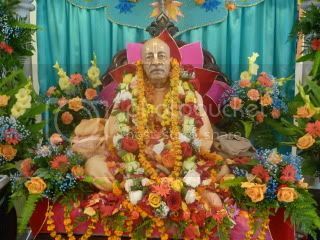 My guru, Shrila Prabhupada taught us that the appearance and disappearance of the guru are both equal, since there is no death for anyone, and what to speak of our guru. In addition our guru lives on through their instructions and disciples and how we relate to both. Of course within the oneness of these occasions there are different flavors. We may remember how we first met our guru, and the impact their leaving this world has had on us. In his or her absence we can talk about worshiping them in separation, which is considered even a higher and more powerful meditation then physical presence. On these days we often remember endearing stories of our association with our guru. While these stories are often touching and inspirational, I have been reflecting for the last few days, that for me, more important then the stories themselves, are what we have become by following Prabhupada’s teachings and example. I have many questions I ask myself—and I invite those of you who are his disciples, grandisciples, or appreciators, to also ask yourself or think about, “How has my conception of him changed and deepened over the years? What ideas or perspectives about him or the position of Guru were faulty, and counter-productive?” One of the tests of the Guru is his external disappearance (his passing away) from our lives and earthly vision. When this happens we have to sink or swim on the realizations we have of him and the association we keep. Therefore, for me, infinitely more important then which edition of Prabhupada’s books we favor—the pre 1978 or later editions—are the above questions and others, such as: “How has what I read changed my life, and is continuing to change my life? When I read his books, what do I have to say about it? How is the fire of spiritual life blazing within me? 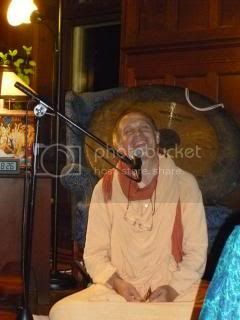 How are my anarthas (unwanted habits) and critical mentality diminishing?” And, “How am I becoming more and more absorbed in remembering and serving Radha-Krishhna, Gaura-Nitai and their devotees? To be more clear, what this all means is to take continual shock of our spiritual progress. We need to determine what appear to be our internal or external obstacles, and take actions to gradually overcome them (including much prayer for help). To me these are questions that shouldn’t be only reserved for days like today, but should be done as frequently as we can. Are we more a casual religious person, or are we a dedicated spiritual practitioner (sadhaka) whose primary absorption is the pursuit of bhakti with the goal of Krishna prema (love for Krishna)? I am very familiar with how it is possible to just coast along or tread water. Unfortunately this describes about half my life as a devotee of Krishna. We might become similar to the older Indian guests who used to frequent our Temples when I was a young man, who would respond to our preaching the Krishna conscious philosophy, “Yes, yes, I am knowing all about Krishna”, or in other words, “You don’t have to waste your time preaching to me”, or “I’m not interested because I have heard if before”. If we are really interested in the subject of Krishna, we can always hear more and more about Krishna. Then it is not just something we grew up with, but is what sustains our life. Personally, before I became a devotee, I had a very high level of intense urgency to find the highest Truth and a path for realizing it. I was excited to find Prabhupada’s disciples and give up everything I possessed to become a monk in the ashrama. Unfortunately, after a few years, I was just plugged into the program and was so busy in my active service that I lost my spiritual focus as to why I was working so hard. And then when Prabhupada left the planet, I was challenged and severely tested whether or not to remain a devotee. I kept chanting (which in retrospect saved me), but I became a “religious devotee” without complete dedication to the goal of making spiritual advancement my shining beacon to inform all aspects of my life. Fortunately because I wasn’t overly critical or offensive toward devotees, Krishna let me stay in his orbit. I remained a casual devotee for about 20 years which gave me first hand experience of the affect of lack of good association and keeping connected to the basic spiritual practices that Prabhupada taught us. I know how easy it is to get comfortable in our religious life, and to stagnate spiritually. So now I have—if I am lucky—1/3 of my life remaining and I am praying for all I am worth to become a real devotee and stay intensely focused on my spiritual practices, keeping my sights firmly fixed on the goal of serving and loving Radha and Krishna, their devotees, and the holy name. I feel like I am making up for lost time in my years of complacency and lack of urgency. We can’t bring back time wasted, but we can go forward in determination in our spiritual practices. 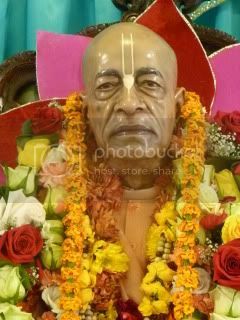 Shrila Prabhupada is a considered by some to be a “big” guru since he was the empowered emissary for spreading Krishna consciousness all over the world. This should certainly be honored and glorified. At the time I am very aware that just being his discipline doesn’t make us big, important or spiritually advanced. Of course we are meant to cultivate humility like the grass and tolerance like the tree, but I am making a point. It is up to us to take advantage of all Prabhupada offered us in his life and teachings. We are only “saved” to the extent that we are absorbed in Krishna consciousness. I see many disciples of the current gurus taking more advantage of their gurus than I did from Prabhupada—they are better disciples then I have been of Prabhupada. Some may consider them “smaller” gurus, but really this is a relative perspective. There are no small gurus, and we all make progress by our faith in our guru, and the particular form of God we have an affinity for. 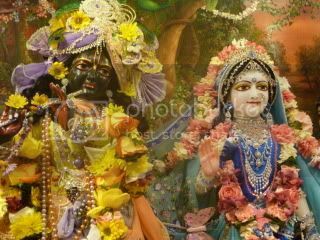 For Gaudiya Vaishnavas this means (in brief) Lord Chaitanya and/or Radha Krishna and their associates. Wherever I travel in the world, I am praised and honored as being so fortunate to have Prabhupada as my guru, and I’m asked what it was like and so on. Certainly I am fortunate, as is anyone who comes to the shelter of those who represent Lord Chaitanya and Nityananda. 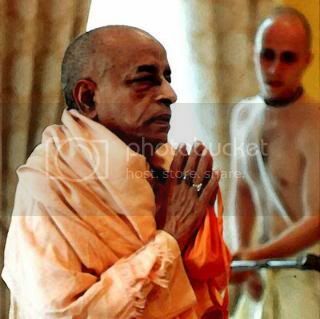 However, my reasoning is that more fortunate than Prabhupada’s direct disciples are the disciples of his disciples. It is said that one’s “param-guru” or the guru of one’s guru is more merciful than one’s own guru. This means that the disciples of Prabhupada’s disciples are in a position to receive more mercy from him than even his own disciples! Plus they have the opportunity to serve their own guru and advanced devotees and benefit from all the mistakes of the first generation. When we joined the Krishna consciousness movement, Prabhupada was the only adult. We had no elders to show us the way. Those of us who are in the later years of our life need to extend our hearts and experience to the next generations of devotees. That is one reason I write here. Whatever I have learned and experienced I share to serve those on the path of serving and loving Krishna, or for those who are trying it one for size. Be blessed and find your lasting shelter!